SW has a predominant practice in defending in criminal cases with a particular emphasis on white-collar crimes, corruption cases and money laundering both as a led junior (by local and London silks) and sole advocate. He also has experience of conducting appeals against conviction and sentence as a led junior (by local and London silks) and sole advocate. 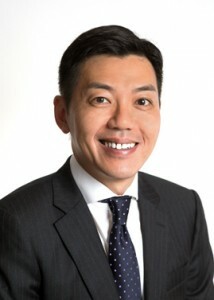 SW also represented professional clients in regulatory and disciplinary investigations/inquiries in Estate Agents Authority, Professional Insurance Brokers Association, Hong Kong Institute of Certified Public Accountants, Chinese Medical Council of Hong Kong, The Medical Council of Hong Kong and Securities and Futures Commission of Hong Kong. Setting aside a Notice to provide information to ICAC issued under s.14 of the Prevention of Bribery Ordinance in an ongoing investigation concerning a listed company (arguing on extra-territorial dimension and effect of bribery offences created under the Ordinance). Successfully defending in a case of bribery offences (managing director of an international electronics company allegedly to have received advantages from customers). Defending in a disciplinary enquiry of the HKICPA (certified public accountant being accused of false accounting). Successfully opposing an appeal in the Court of Appeal (brought by individual owner against the incorporated owners following a decision from the Lands Tribunal). Advising (and to resist) an application for leave to appeal to the Court of Final Appeal. Advising on claims concerning investments on financial derivates products ("mini-bonds" and "accumulator and decumulator"). Representing a former Executive Director and Shareholder of a listed company in a case of fraud etc. following an investigation by the Commercial Crime Bureau. Successfully defending in a case of claiming to be a member of triad society etc.